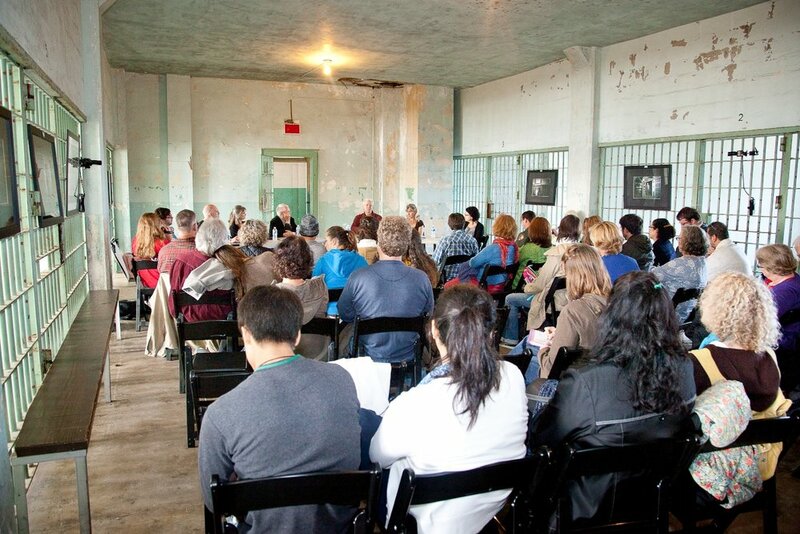 The final exhibit in We Players’ 2011 Alcatraz series, is the most comprehensive gathering of inmate-produced visual artwork in the Bay Area in over 30 years. 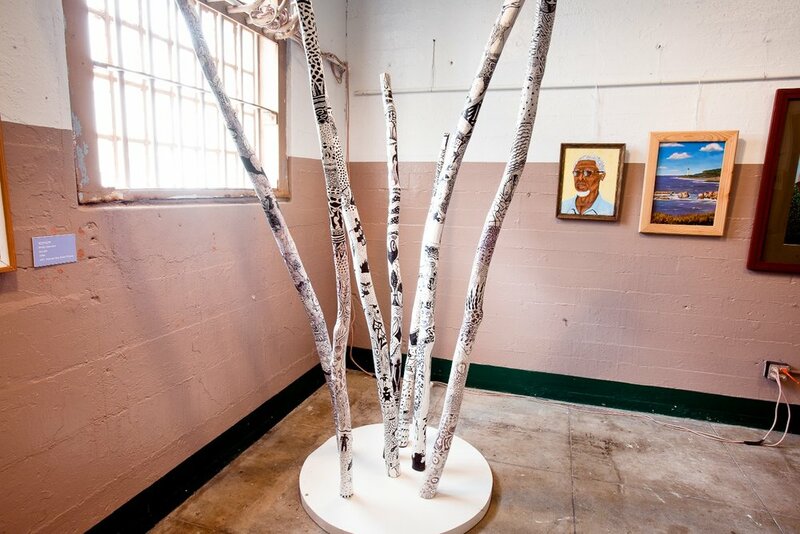 The National Park Service and We Players invited the Prison Arts Project, which sponsors on-going art classes at San Quentin through the William James Association, to exhibit outstanding examples of its work in our Alcatraz cell house gallery space. 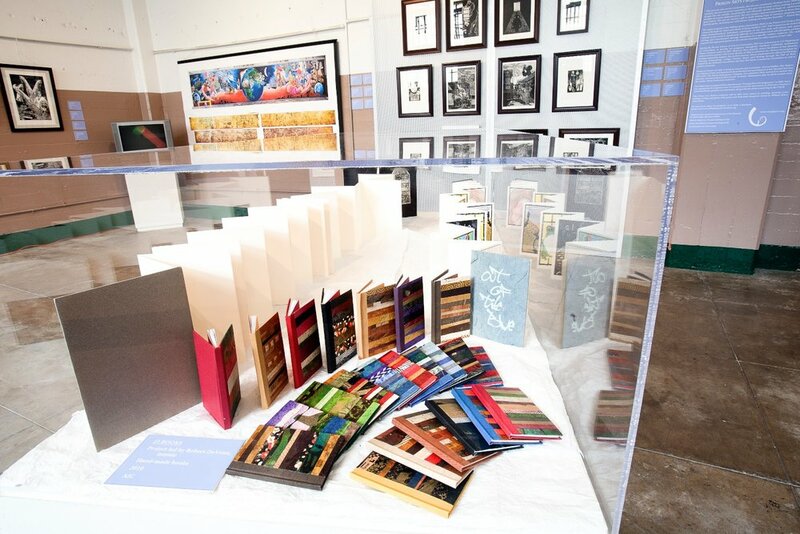 The exhibit also included work from the former California Arts-in-Corrections program – now collected by UCLA Library’s Prison Arts Archiving Project and WJA. Images from the Inside was installed in the Cell House Gallery, Alcatraz, August 27 – November 11, 2011. The exhibition-opening event on August 27th included a panel discussion representing a significant gathering of minds in prison arts programming in the Bay Area. Another panel, moderated by Larry Brewster, and comprised of ex-inmate artists, followed a tour of the Images from the Inside exhibit during We Players’ Alcatraz Symposium on Justice & Freedom.